Finance your dream home in Telluride, CO Imagine buying your dream home. Connect with a lender to help you make it happen. Over the past 30+ years we have developed strong relationships with our local Telluride banks and regional financing experts. They are skilled in the nuances of financing Telluride real estate, from homes and condos to commercial and large ranches. We can recommend a proven lender that is committed to fast, professional, courteous and personal service to help you understand and feel at ease throughout the home financing process. Please do not submit any confidential information. This will be shared with both Telluride Properties and Telluride Properties. 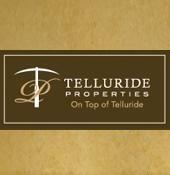 Let me know how I can assist you with your Telluride, CO mortgage needs. I am here to help!